MEDWAY WHOLE SCHOOL SPORT RELIEF FUNDRAISER! Pupils and teachers are recovering after feats of endurance that raised thousands of pounds for Sport Relief. 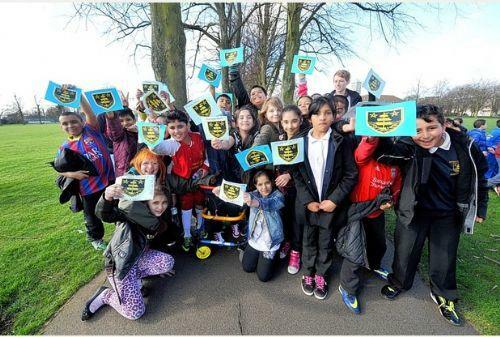 Youngsters at Medway Primary, in Highfields, Leicester, dressed up as their favourite sports stars for a sponsored walk around Victoria Park. Assistant head teacher Sian Elton said: "It was brilliant. We had all 470 children taking part and lots of parents, too. "The children dressed up as sports stars so we had lots of Jessica Ennises and a few Bradley Wiggins. "Sponsorship money is still coming in but we've raised more than £1,300. This is fabulous."